Magnificent double halo emerald cut argyle pink diamond ring. 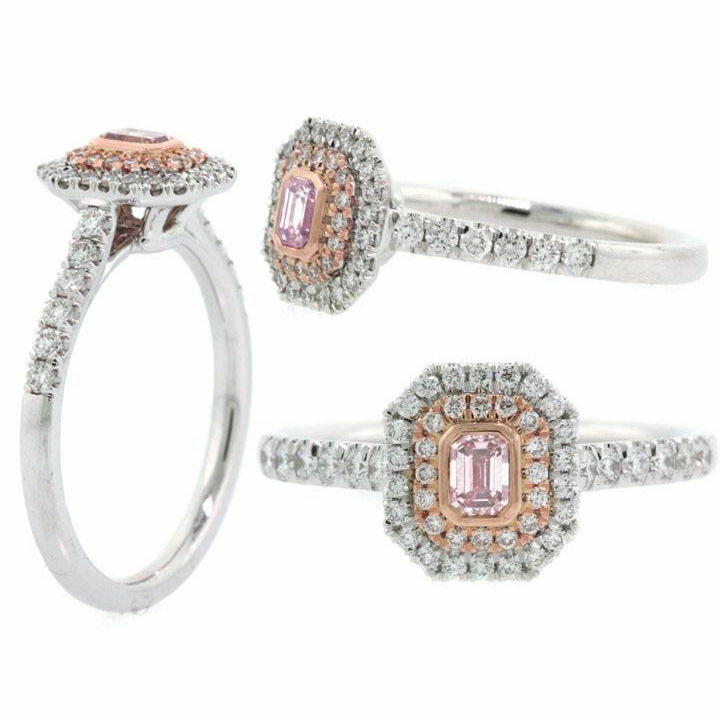 Featuring 6P Argyle pink diamond with vvs clarity weighing 0.16 carat. In addition there are 50 round diamonds weighing 0.37 carat. The ring total diamond weight is 0.53 carat.